If you are the sort of person who carries a lot of gadgets around with you then this massive solar charger might be for you. 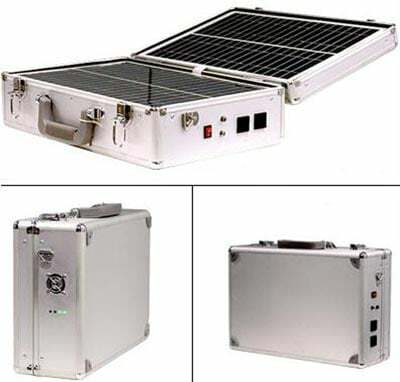 The Sola Unagi Solar Generator weighs 10KG and can store enough juice to keep your laptop running for up to six hours, it can also power a small fridge for 4 hours and charge up to 20 mobile phones at a time. In comparison with a gasoline generator, SOLAR UNAGI only weighs half of it at 10kgs, so can easily be carried by an adult. With an inbuilt battery, its able to be used any time, whether night, rainy, as long as it has already been charged. The Sola Unagi will retail for around $1400.